On the Christmas list this year are Polly Pockets! 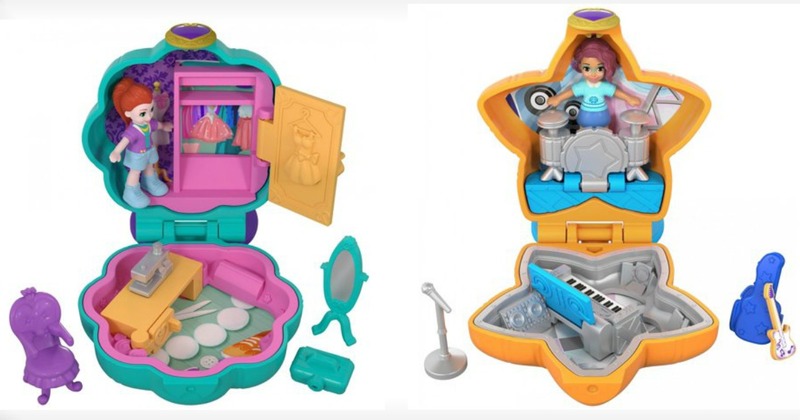 We spotted this Polly Pocket Tiny Pocket Places Fiercely Fab Studio Compact with Micro Model Lila Doll selling for just $4.97 (reg. $10.99), and this Polly Pocket Tiny Pocket Places Teeny Boppin’ Concert Music Accessories Compact with Doll for just $4.50 + FREE store pickup (where available) or shipping is FREE on orders of $35 or more.